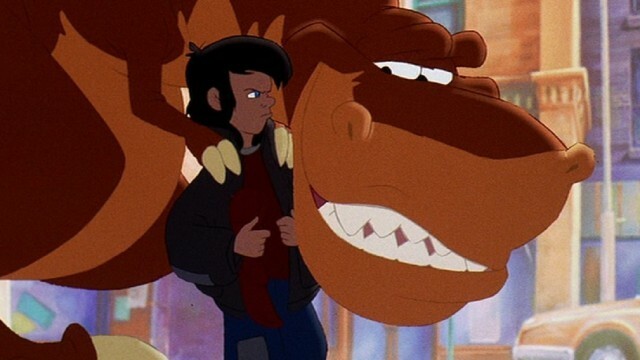 Gertie the Dinosaur is an animated short by American cartoonist and animator Winsor McCay. Originally used for live audiences as an interactive part of his vaudeville act. A sequel was to be made titled Gertie on Tour, however it was never completed and only a minute was produced. Steamboat Willie is considered the debut of Mickey Mouse and his girlfriend Minnie. Steamboat Willie is also known for being the first cartoon with synchronized sound. 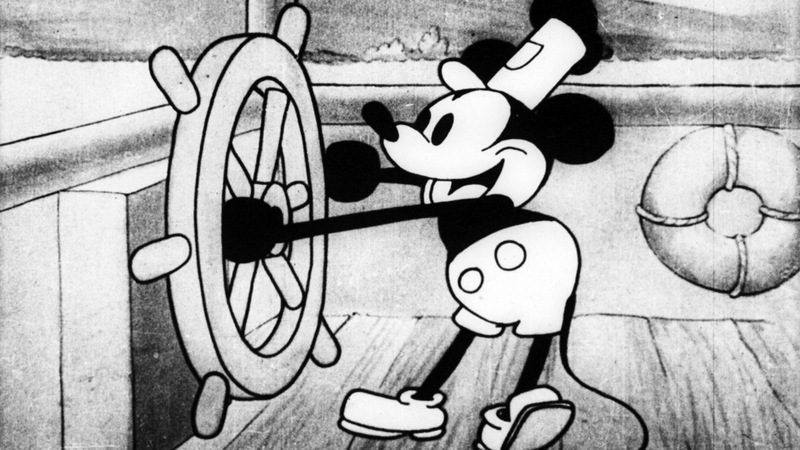 Steamboat Willie was produced in black-and-white by Walt Disney Studios and was released by Celebrity Productions. Snow White and the Seven Dwarfs is a 1937 American animated film produced by Walt Disney Productions and released by RKO Radio Pictures. 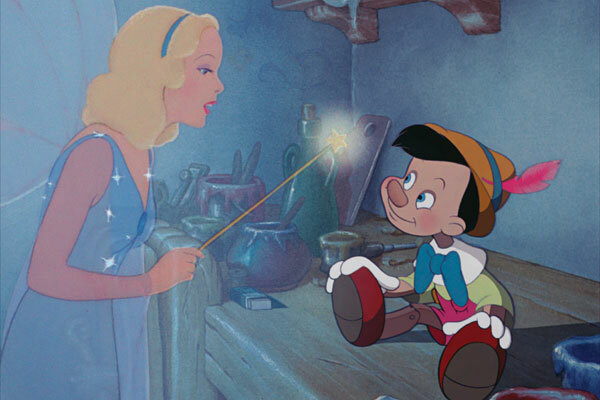 Based on the German fairy tale by the Brothers Grimm, it is the first full-length cel animated feature film and the earliest in the Walt Disney Animated Classics series. 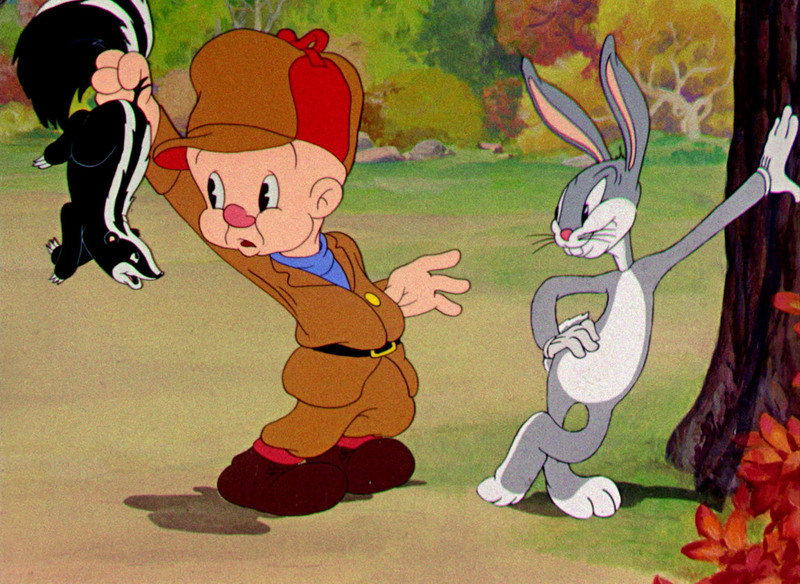 A Wild Hare is considered the first official Bugs Bunny cartoon. 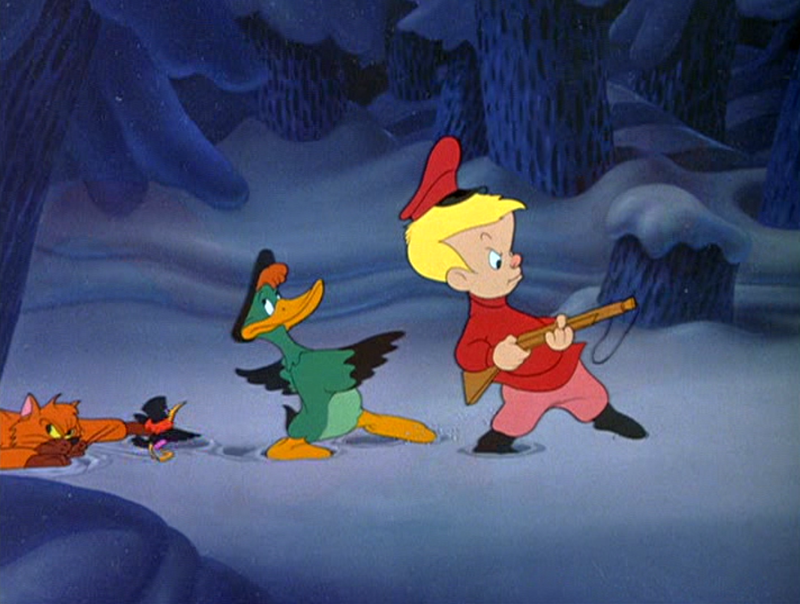 Released by Warner Bros., as a Merrie Melodies animated short film. Directed by Tex Avery and produced by Leon Schlesinger Productions. Fantasia was first released in thirteen U.S. cities November 13th, 1940. Fantasia consists of eight animated segments with classical music conducted by Leopold Stokowski. This was Walt Disney's third animated feature. Dumbo is Walt Disney's fourth animated feature film. The story is based on a story written by Helen Aberson and illustrated by Harold Pearl called "Roll-a-Book". 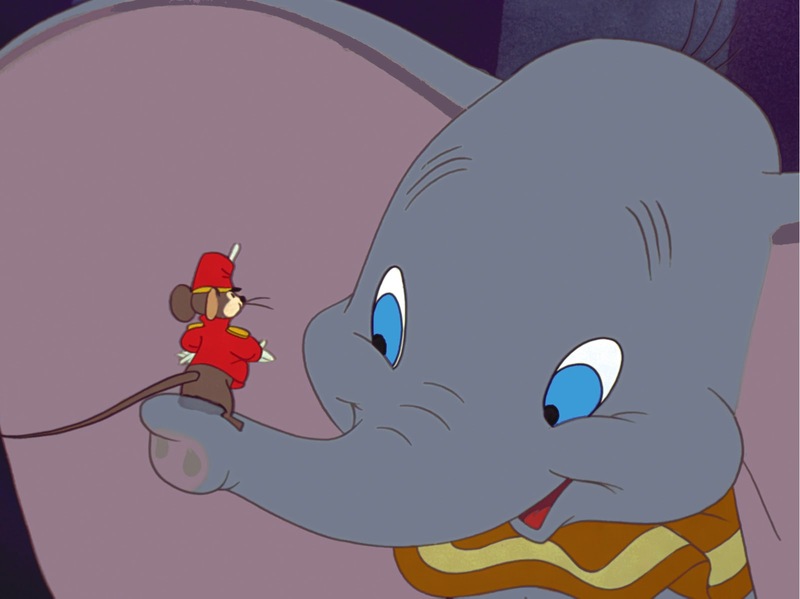 Dumbo is one of Walt Disney's shortest films. 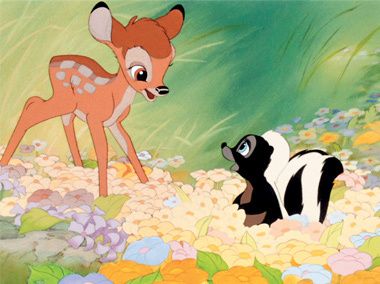 Originally planned as Disney’s second animated film, the production of Bambi was delayed because of challenges animating the deer and the dark content of the story, making it Walt Disney’s fifth animated film. Based on an Austrian tale by Felix Salten titled Bambi, A Life in the Woods, Bambi tells the tale of life in the forest as a young deer grows to be the prince of the forest. 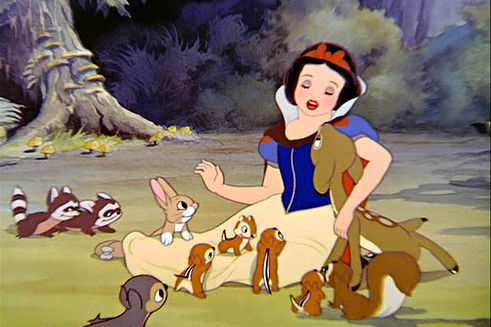 Bambi didn't do well in the Box office due to its release during World War II but made up for it in later releases. Saludos Amigos is a complation of four segments Walt Disney's made about Latin America. This is Walt Disney's sixth animated feature film. 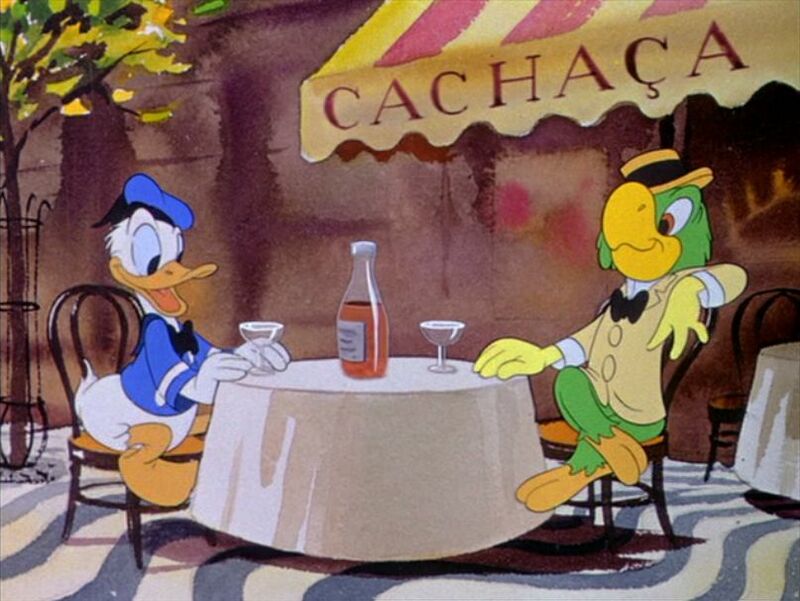 In Saludos Amigos you see the first appearance of José Carioca, he's a Brazilian cigar-smoking parrot. The Three Caballeros is Walt Disney's second film made for the goodwill tour in Latin America. 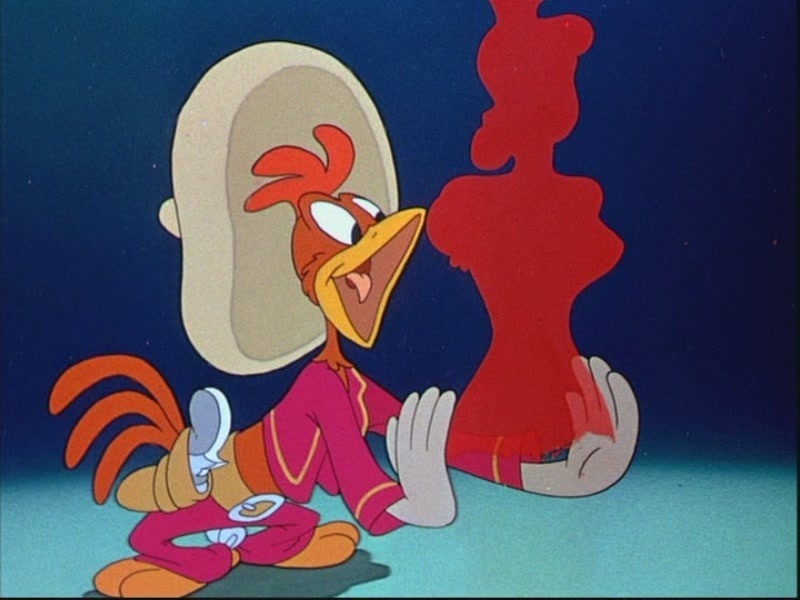 The Three Caballeros is Walt Disney's the seventh animated feature film. Starred Donald Duck, who is joined by his old friend José Carioca, a cigar-smoking parrot from Brazil, and Panchito Pistoles, a rooster representing Mexico. Fun and Fancy Free is Walt Disney's 9th animated feature film. 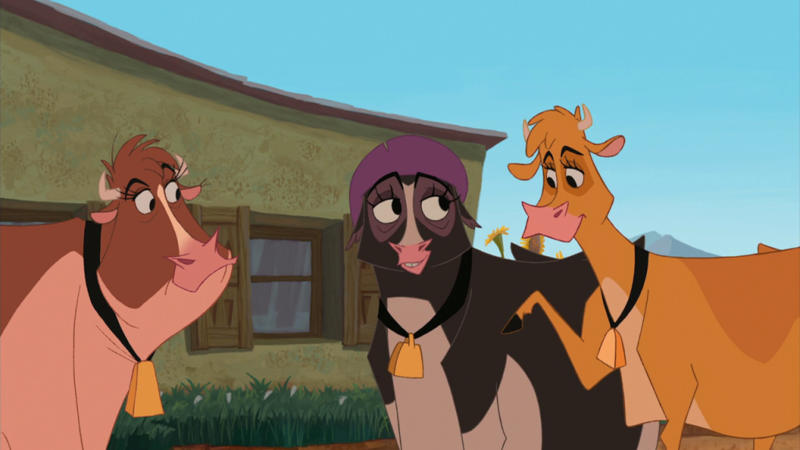 This film features two segments "Bongo" and "Mickey and the Beanstalk". "Mickey and the Beanstalk" was the last time Walt Disney voiced Mickey Mouse. Melody Time is Walt Disney's 10th animated feature film. Their are a total of 7 segments: Once Upon a Wintertime, Bumble Boogie, The Legend of Johnny Appleseed, Little Toot, Trees, Blame It on the Samba, and Pecos Bill. 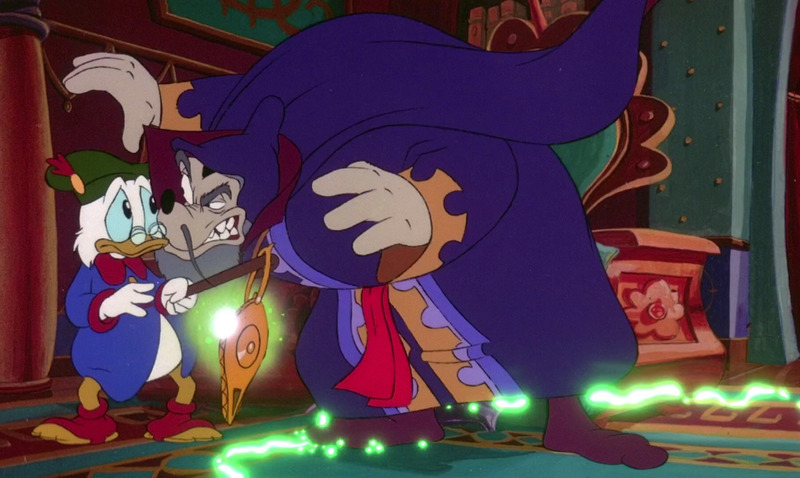 The Adventures of Ichabod and Mr. Toad is Walt Disney's 11th animated feature film. The Adventures of Ichabod and Mr. Toad has two segments, based on the stories The Wind in the Willows by Kenneth Grahame and The Legend of Sleepy Hollow by Washington Irving. 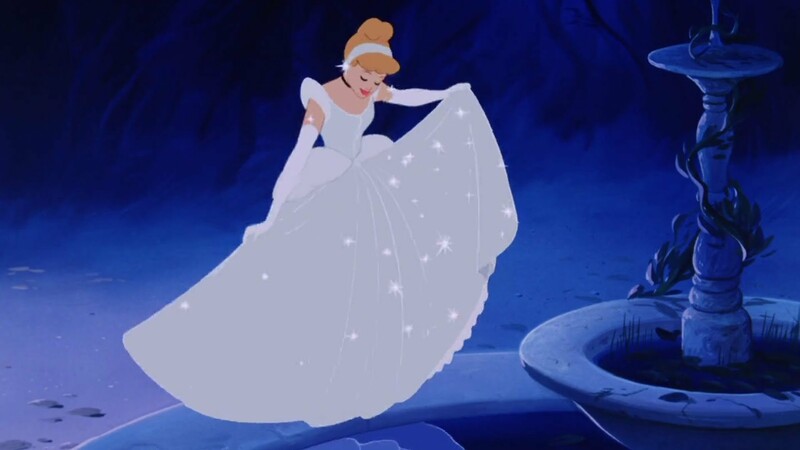 Walt Disney’s twelfth animated film, Cinderella is based on Cendrillon, a fairy-tale by Charles Perrault. The film tells the story of Cinderella, a peasant girl with the help of singing mice and a fairy god-mother to attend the royal ball. 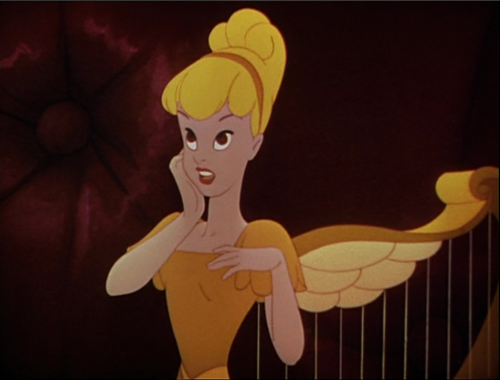 Walt Disney was first to use double tracked vocals for the song “Sing Sweet Nightingale” in which Ilene Woods, the voice of Cinderella, uses the technique to harmonize with herself. 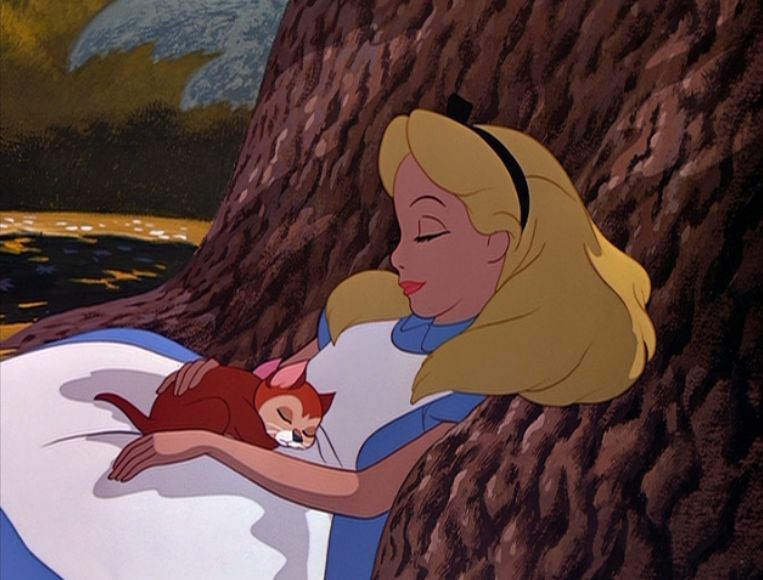 Alice in Wonderland is Walt Disney’s 13th animated classic film. A mixture of two books, Lewis Carroll’s Alice’s Adventures in Wonderland and Through the Looking-Glass, it tells the tale of a curious girl who follows a white rabbit down a hole to a land where nothing is as it seems. Alice in Wonderland contains the most songs of any Disney film often overlooked because they are short. Peter Pan is Walt Disney’s 14th animated classic and the last film worked on by all nine members of Disney’s Nine Old Men. 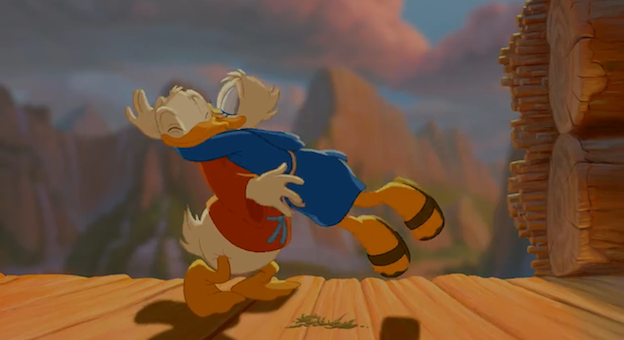 Animators were presented with difficult scenes such as animating a character floating and referenced a variety of live-action footage. 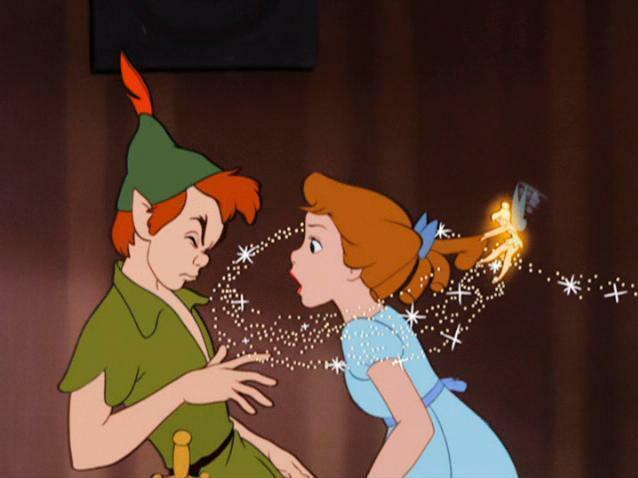 Peter Pan is based on The Boy Who Wouldn't Grow Up by J. M. Barrie, about an orphan boy who lives in Neverland, a place where he will never age. 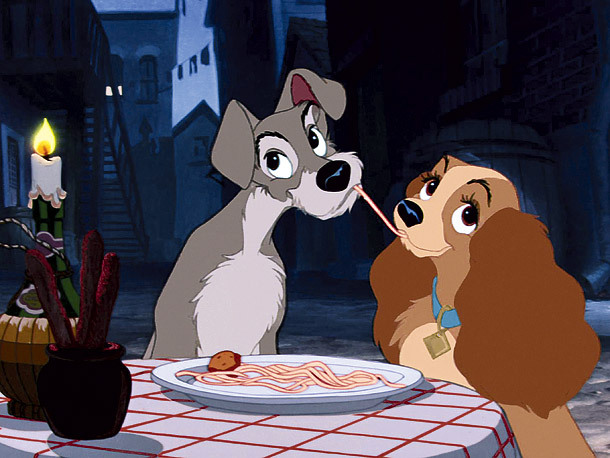 Lady and the Tramp is Walt Disney's 15th animated feature film. It was the first animated feature filmed in the CinemaScope widescreen film process. Based on Happy Dan, The Whistling Dog by Ward Greene. Lady and the Tramp II: Scamp's Adventure was a direct-to-video sequel released in 2001. 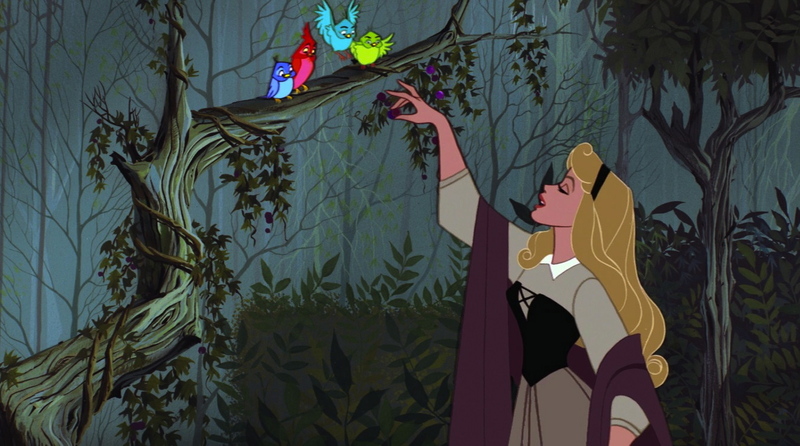 Sleeping Beauty is Walt Disney’s 16th animated film and the last film to use hand-inked cels. The story is based on the Brothers Grimm’s Little Briar Rose and The Sleeping Beauty by Charles Perrault telling the tale of a teenage girl cursed into a deep sleep by an evil fairy. To allow more detailed backgrounds, Sleeping Beauty is the first film to be photographed in Super Technirama 70 widescreen and the studio’s first experiment with the Xerox process. 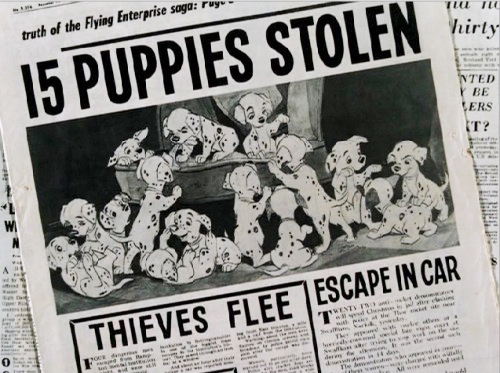 One Hundred and One Dalmatians is the 17th animated feature film in the Walt Disney Animated Classics series. One Hundred and One Dalmatians is based on the novel by Dodie Smith. Ub Iwerks had been experimenting with Xerox photography and modified a Xerox camera to transfer drawings by animators directly to animation cels, to skip the process which was once done by the Ink and Paint department. The Yogi Bear Show is the first incarnation of the picnic basket stealing forest bear named Yogi Bear. 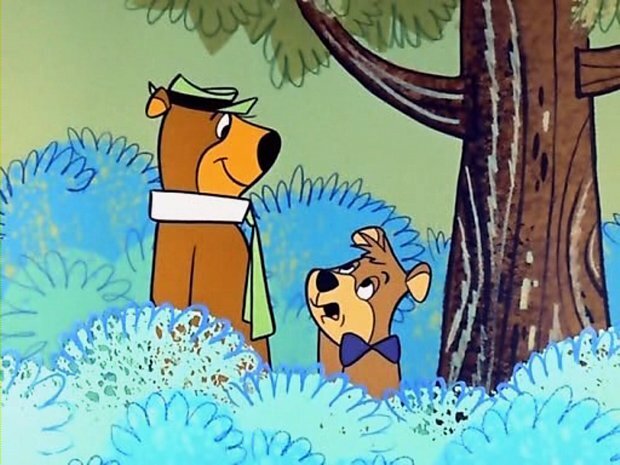 The Yogi Bear Show ran for 33 episodes and also included two segments, Snagglepuss and Yakky Doodle. 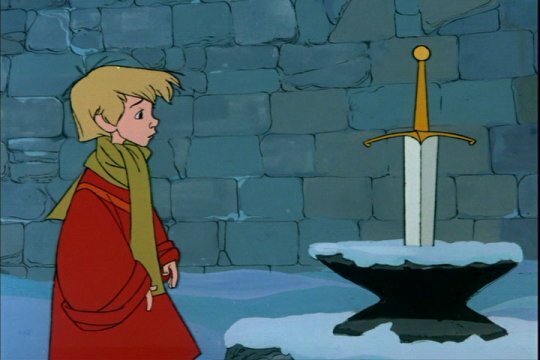 The Sword in the Stone was produced by Walt Disney in 1963, it was his 18th film in the Walt Disney Animated Classics series. This was the final animated film released before Walt Disney's death. He didn't get to see the release of following animated feature film The Jungle Book. 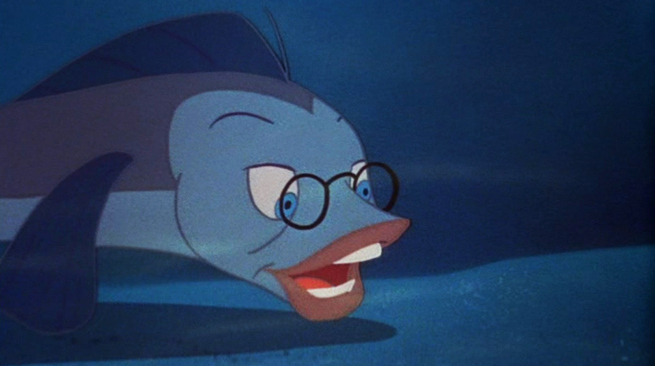 The Incredible Mr. Limpet is a live action/animated film about a man, after being rejected by the navy is turned into a fish and is able to help them from the sea. This was the last feature animated film released by the Warner Brother Studio before closing in 1969. This was Larry Keating, who played Admiral P. P. Spewter’s, last film as he passed before it released. Walt Disney passed away during the production of The Jungle Book making it the last animated film he produced; being his 19th animated classic. 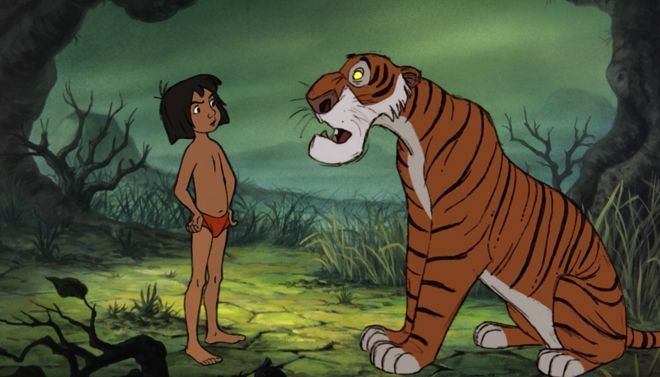 The film is based on a book of the same title by Rudyard Kipling and tells the story of a boy named Mowgli who is raised by wolves in an Indian jungle. Walt Disney passed before the completion of this animated film. 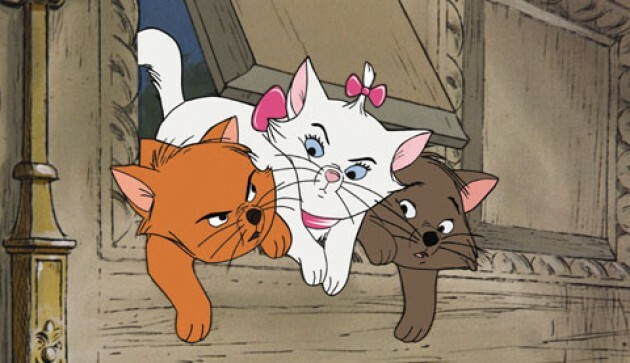 The 20th Walt Disney animated feature, The Aristocats, is based on a story by Tom McGowan and Tom Rowe. This film is the last project to be approved by Walt Disney and tells the tale of a family of cats trying to get back home after being kidnapped and left stranded in the countryside. The Aristocats is the last Disney film to have “A Walt Disney Production” at the end. Robin Hood was released in 1973 by Walt Disney Productions and was the 21st animated feature in the Walt Disney Animated Classics series. 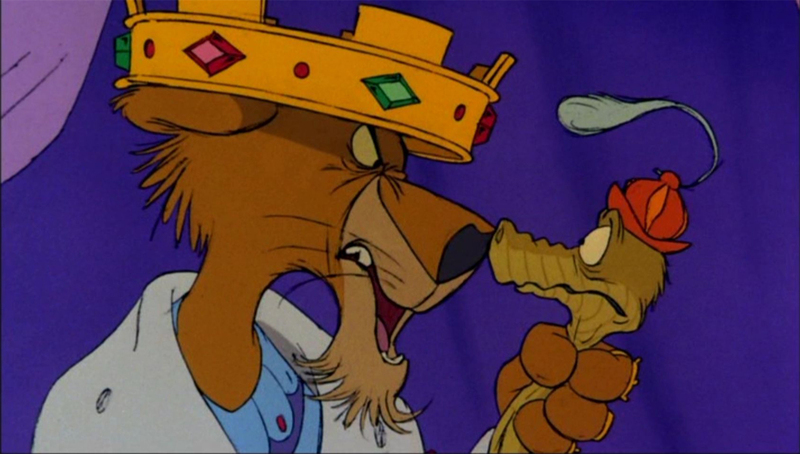 The story is based on the legend of Robin Hood, Little John, Sheriff of Nottingham and everyone in Nottingham. Wizards is an American animated post-apocalyptic fantasy about a battle between two wizards. 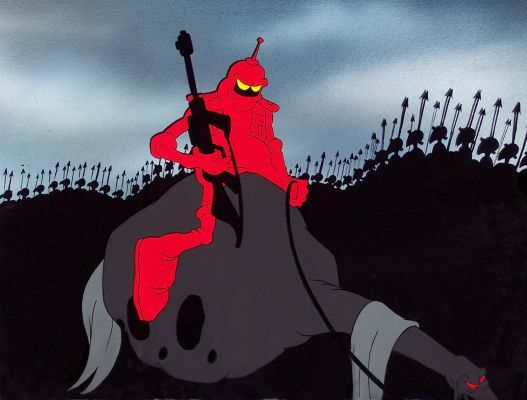 Wizards was written, produced and directed by Ralph Bakshi. Wizards was Ralph Bakshi's first fantasy film, and is now considers a cult classic. The Rescuers is Walt Disney Animation's 23rd animated film and the first film to use camera movement in opening credits versus still photographs. The film is based of two books by Margery Sharp, The Rescuers and Miss Bianca. The Rescuers was the first film to use a include a prologue before the credits. Banjo the Woodpile Cat was the first production of Don Bluth Productions. It was animated for television in 1979. Don Bluth was still working for Disney at the time, but later left to finish this film and begin on The Secret of NIMH. 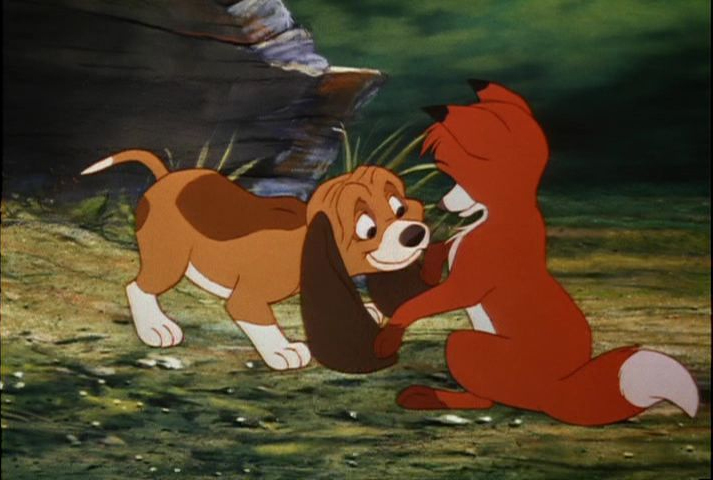 Inspired by the book by Daniel P. Mannix of the same title, The Fox and The Hound is Walt Disney's 24th animated film. This film's animation began in the hands of Disney's Nine Old Men and ended in the hands of the next generation of animators that would lead The studio into Disney's Renaissance period. 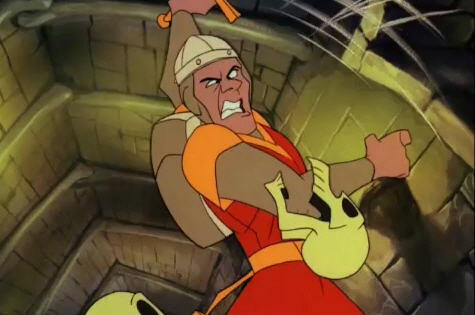 Dragon's Lair was Designed by Don Bluth in 1983 for arcades. It was the first game in the Dragon's Lair series. The story is about a protagonist named Dirk the Daring and he is a knight trying to rescue Princess Daphne from Singe the evil dragon who is locked in Mordroc's castle. Walt Disney's 25th film, The Black Cauldron is inspired by two books in Lloyd Alexander's The Chronicles of Prydain. The APT process was developed for use in this film creating a new way to transfer drawings to cels. The Black Cauldron is the first film to use the now highly recognizable Walt Disney Company castle logo. 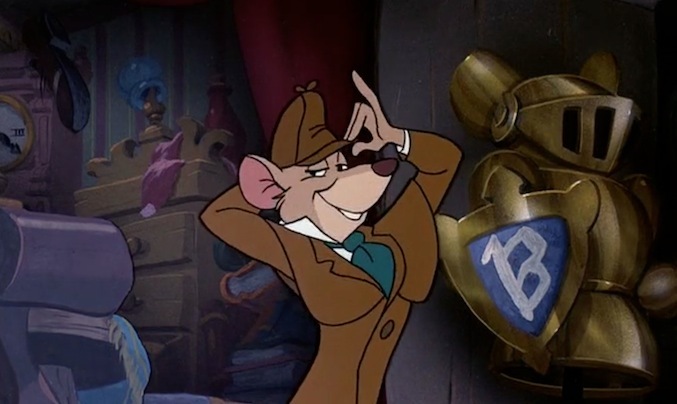 The Great Mouse Detective is a animated mystery produced by Walt Disney Feature Animation. This is the 26th animated feature film by Walt Disney Pictures. Based on the children's book series Basil of Baker Street by Eve Titus. 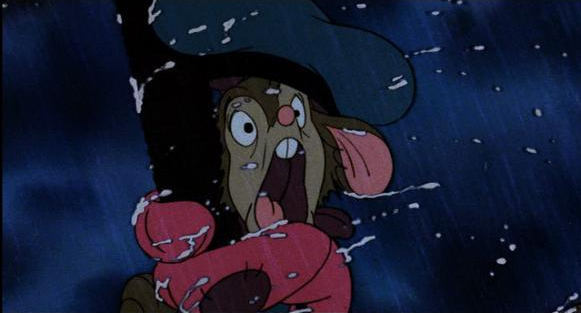 An American Tail was a collaboration between Don Bluth and Steven Spielberg based on a concept by David Kirschner. 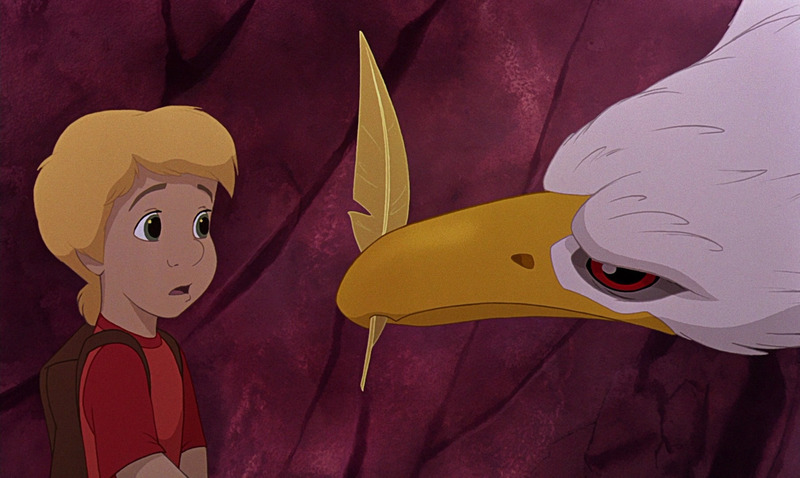 This was the first time Steven Spielberg worked on an animated feature film. 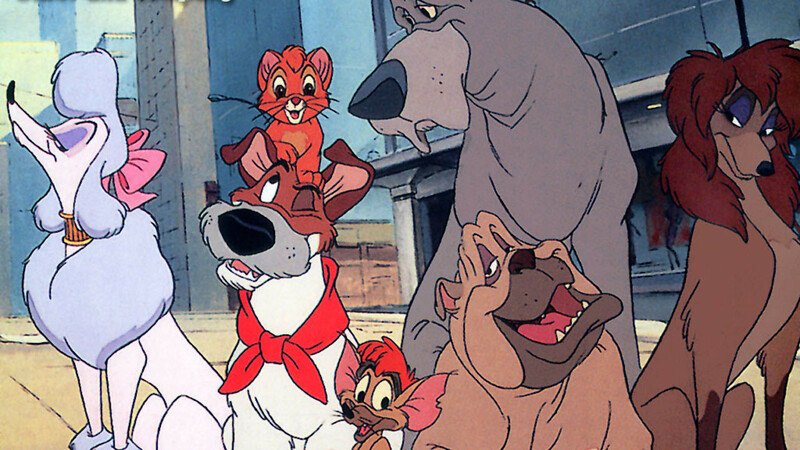 Oliver & Company, Walt Disney’s 27th animated classic is inspired by Charles Dickens’ book Oliver Twist. In the film Oliver is a kitten joining a gang of dogs to protect him against the streets of New York. Disney created a department specifically for computer animation with this being its first film project and used it heavily in this film to create the New York landscape. 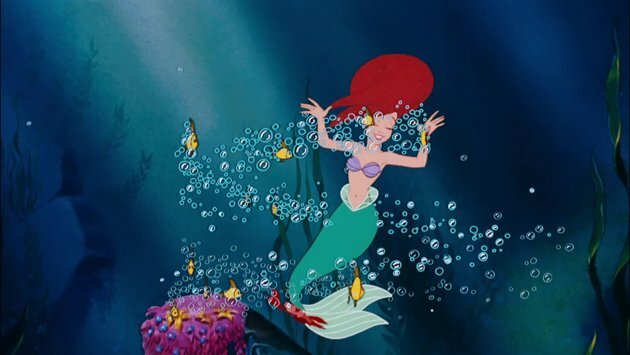 The Little Mermaid is Walt Disney’s 28th animated film and the last film to use the traditional hand-painted cel method. The film is based on a Danish fairy-tale by Hans Christian Andersen and tells of a young mermaid princess named Ariel, with a beautiful voice and a desire to become human and live on land. 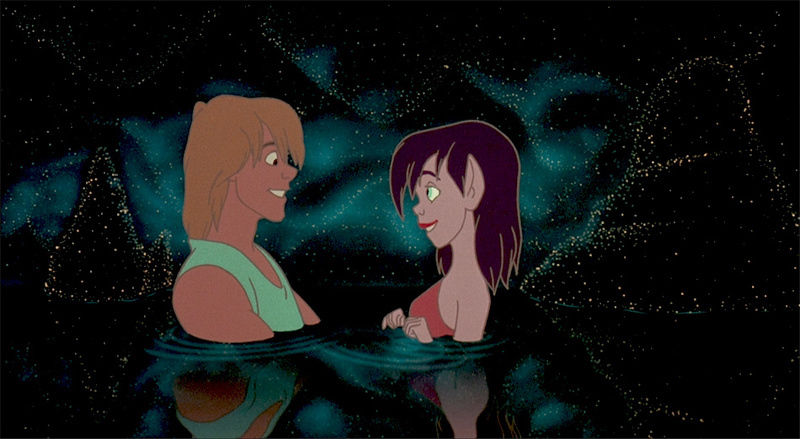 This movie was the first in the Disney Renaissance era. DuckTales the Movie: Treasure of the Lost Lamp was released in 1990 based on the animated telvision series Ducktales. This was the first Disney animated film to be produced by DisneyToon Studios. Walt Disney Television Animation satellite studios in France and Australia produced the film. The Rescuers Down Under is the 29th feature film in the Walt Disney Animated Classics, it is the sequel to the 1977 animated film The Rescuers, which was based on the novels by Margery Sharp. 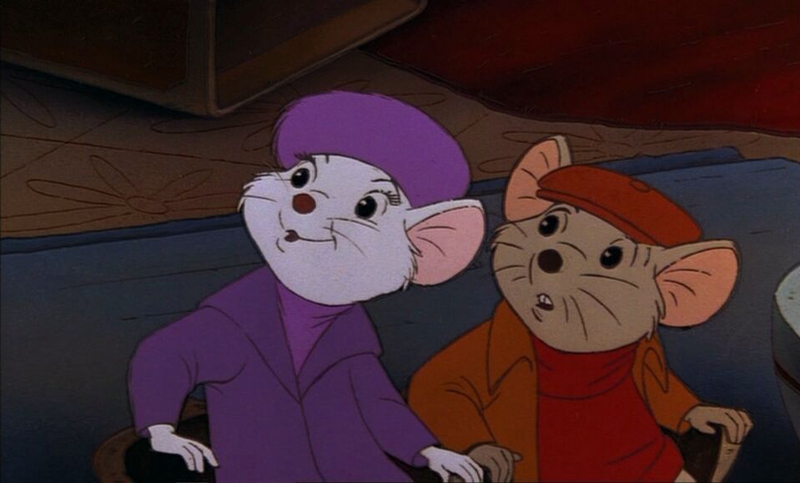 The Rescuers Down Under features the voices of Bob Newhart, Eva Gabor in her final role, and John Candy. 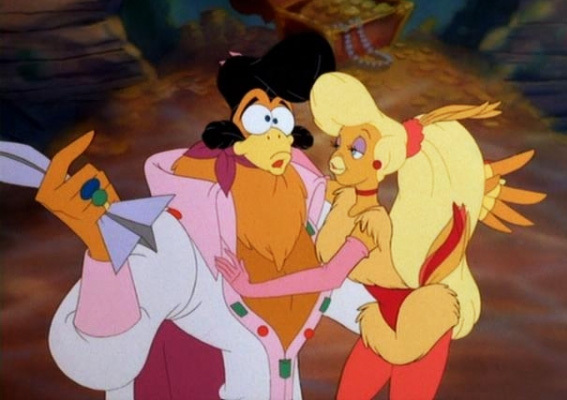 Rock-a-Doodle is a film that includes both live action and animation and gets it's inspiration from Edmond Rostand's Chantecler. It tells the tale of a little boy in search of Chanticleer, a rooster, to save the farm from darkness and rain by singing to rise the sun. 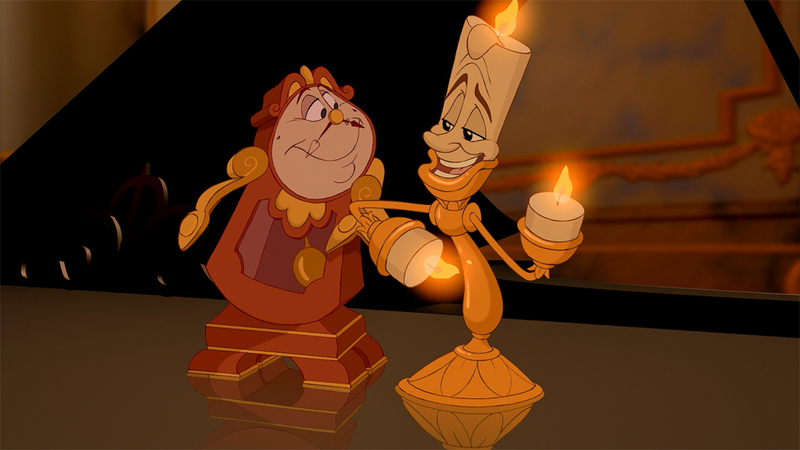 Originally a French fairy-tale, Beauty and the Beast tells the tale of a castle that is cursed when the prince denies shelter to an enchantress disguised as an old beggar woman; turning him into a beast and his servants into household objects. The Film won an Academy Award for Best Original Score and Best Original Song. It was adapted for Broadway in 1994, being Disney’s first Broadway musical. Ferngully: The Last Rainforest is based on a book of the same name by Diana Young. It tells the story of a curious fairy, fruit bat, and a human's attempt at saving the rainforest. In order to capture the feel in their drawings animators spent time in Australia, which the film's rainforest is inspired by, with a few elements being computer animated to reduce production time. 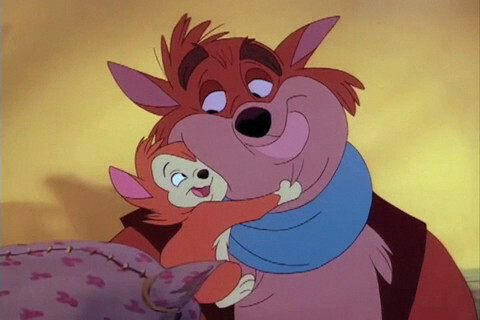 Robin Williams played the voice of Batty Koda. Aladdin is Walt Disney Pictures 31st animated feature film. The story is based on a Arab folktale of a boy finding a magic lamp from One Thousand and One Nights. 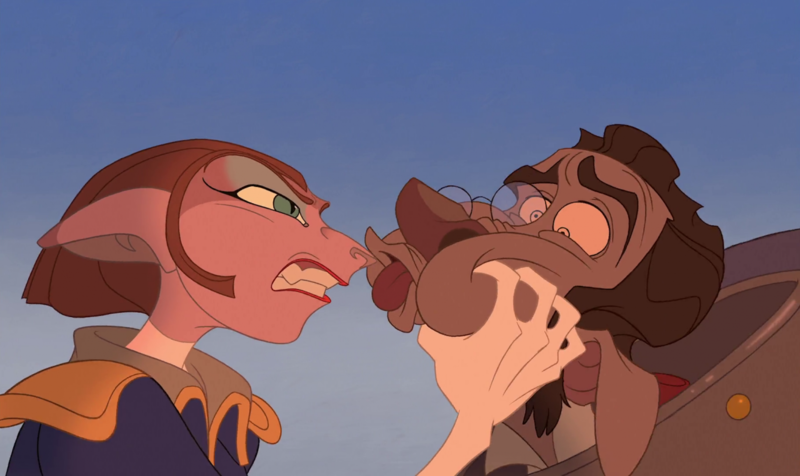 The theme of this movie was inspired by Al Hirschfeld's art style. 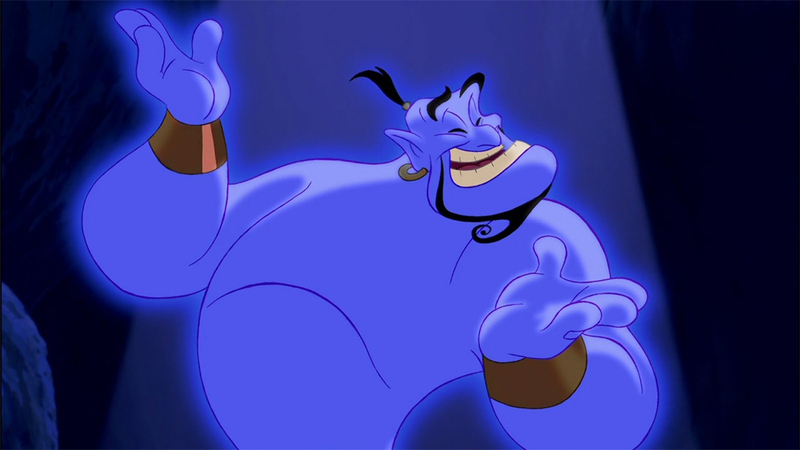 Robin Williams plays the narrator and the voice of the Genie. We're Back! 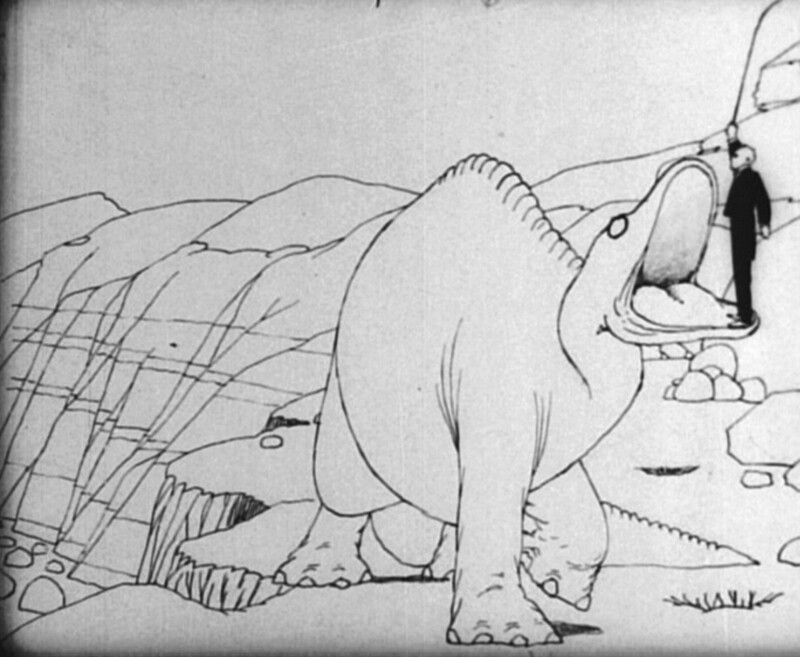 A Dinosaur's Story is based off a children's book by the same name written by, Hudson Talbott. The story tells of dinosaurs who travel to 21st-century New York City after they are fed brain grain cereal making them intelligent and non-violent. For promotion a Rex ballon was featured in the Macy's Thanksgiving day parade, since the parade appears in the film. The Lion King is the 32nd animated feature in the Walt Disney Animated Classics series. 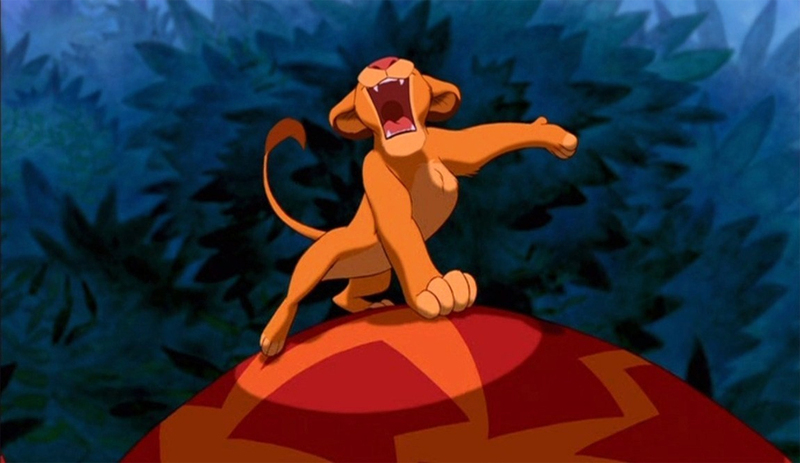 The Lion King tells a story about Simba, a young lion who is to succeed his father Mufasa as the king. He leaves his home after the death of his father was blamed on him, to later come home and claim his rightful place as king. A Troll in Central Park is an animated musical film that tells the story of a friendly troll with a green thumb which goes against the way of the other mean and ugly trolls. 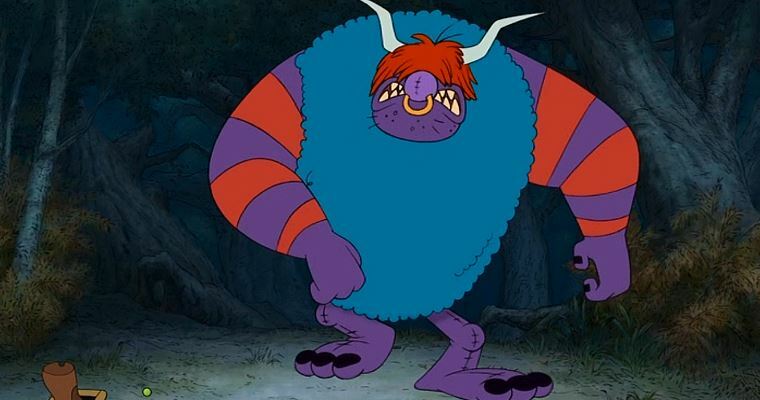 Stanley, the troll character, is voiced by Dom DeLuise who voiced for several other of Don Bluth's animated films. 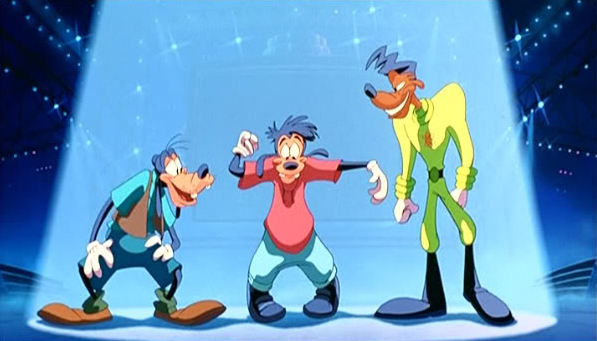 A Goofy Movie revolves around the father-son relationship between Goofy and Max. Max gathered enough courage to ask his dreamgirl, Roxanne, on a date, Goofy stumbles in and announces that they need to spend some quality time together, and then drags Max off on a vacation. Just before they leave, Max tells Roxanne that he will be in the audience at the next televised Powerline concert. 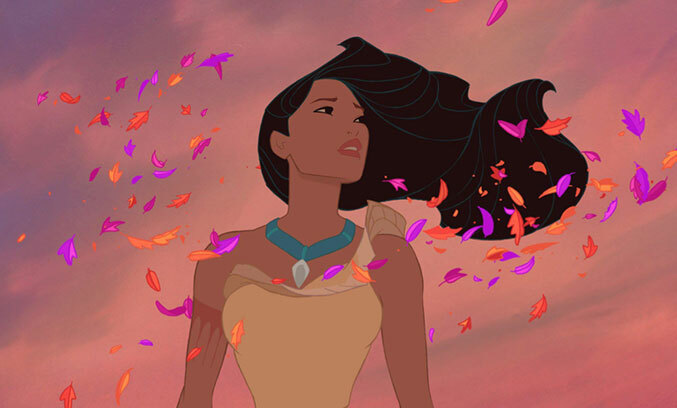 Pocahontas is Walt Disney’s 33rd animated classic and the first of Disney’s films based on a character from history. It tells the story of Pocahontas, the daughter of a Native American chief, who shows an Englishman that nature and land, is not something to be owned. 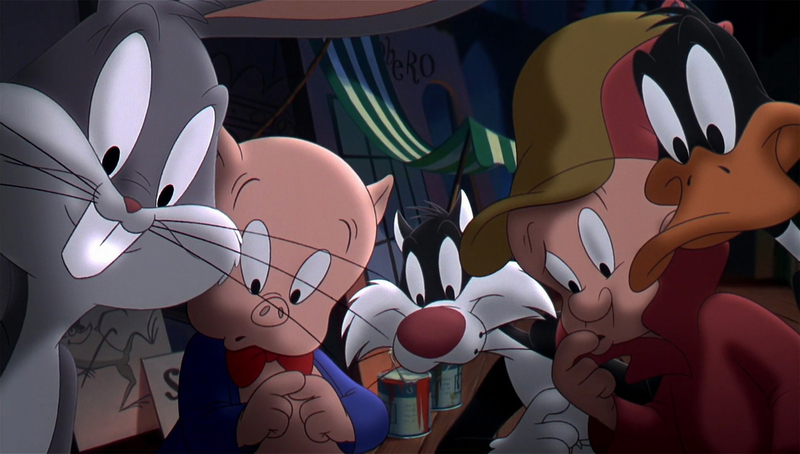 The production of this film lasted five years because of the difficulty of the animation, with over 600 animators working on the film. It was released on the four hundredth birthday of the real life Pocahontas. Produced by Steven Spielberg's Amblimation animation studio. Balto is based on a true story of a snow dog that helps save children suffering of diphtheria by delivering medicine. Balto is a live-action/animation film. Walt Disney’s 34th animated film, The Hunchback of Notre Dame is based on the writing of Victor Hugo who has a novel of the same name. 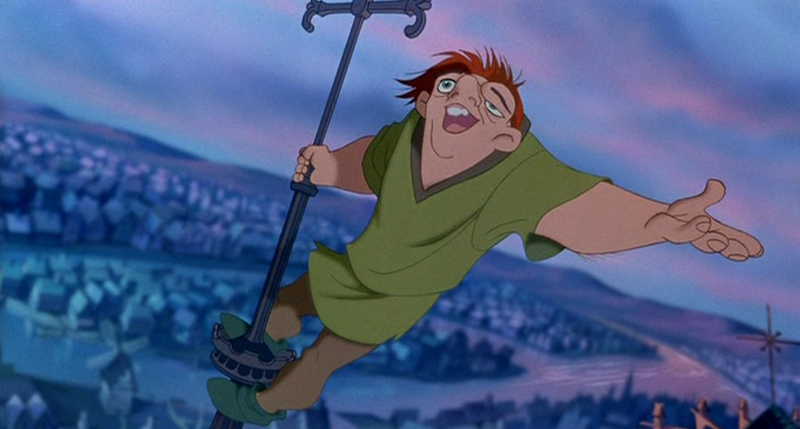 The story follows the life of the Notre Dame’s bell ringer named Quasimodo as he struggles with a deformed physical appearance. 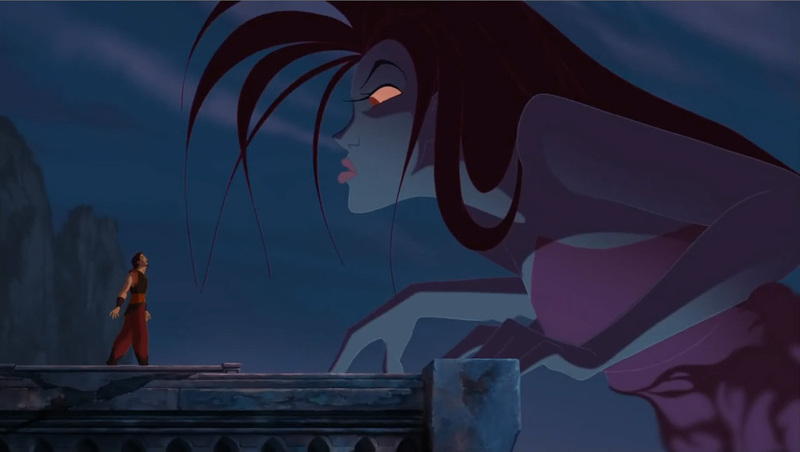 Adapting the dark themes of Victor Hugo’s book caused issues during production and makes The Hunchback of Notre Dame one of the few Disney movies with mature themes. Space Jam is a live action/animated film based on Michael Jordan’s return to basketball from retirement telling a fictional tale of how the Looney Tunes inspired his choice. The idea for the film comes from a few Nike ads in the 1990’s featuring Michael Jordan and Bugs Bunny. The film opened at #1 in the U.S. and had a 6x Platinum soundtrack. The soundtrack featured R. Kelly’s Grammy Award winning song, “I Believe I Can Fly”. Hercules is Walt Disney’s 35th animated classic film based on the Greek mythology hero Heracles. The film is about a teen with super strength in search for where he belongs; he finds that he is the son of Zeus and must prove himself in order to return to Mt. Olympus. 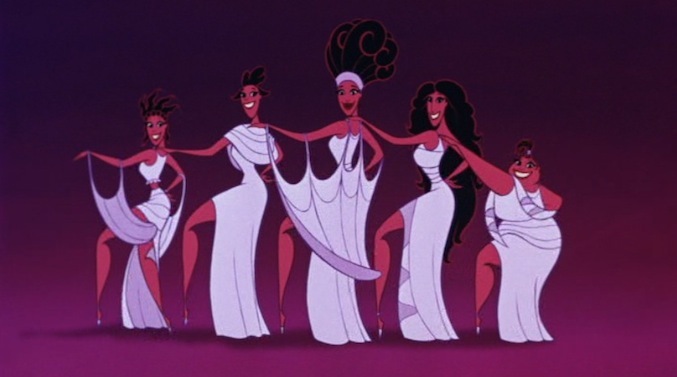 The design was based on Greek statuses and gave the character Hercules the biggest animator crew than previous Disney characters. Anastasia is a Fox Animation Studios animated film that is based on the myth that the Grand Duchess Anastasia Nikolaevna of Russia survived her family's execution. The film is an animated adaption of a 1956 live-action film in of the same name. 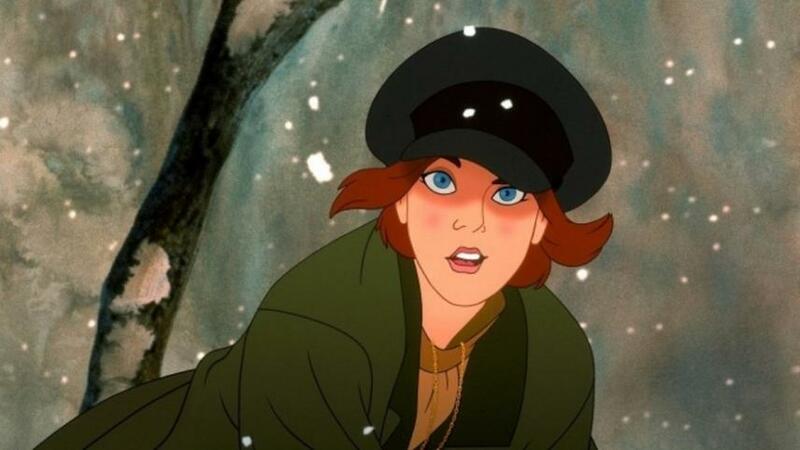 Anastasia is Don Bluth's highest grossing film. 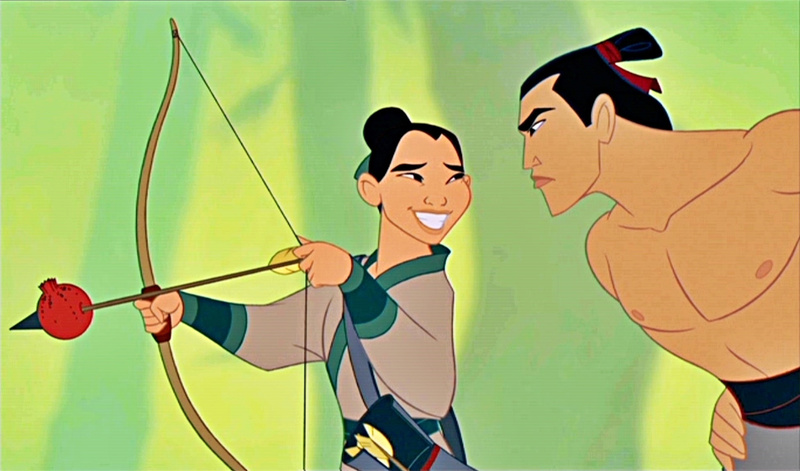 Walt Disney’s 36th animated film is based on the Chinese legend of Hua Mulan. In the film Mulan sneaks off into the night and takes his position in the Chinese army when her father is called to duty. The art style focuses on watercolor and Chinese painting for a simpler design to stay within the culture. Crowd simulation software was developed to create the Hun solders and a crowd in the final battle sequence. 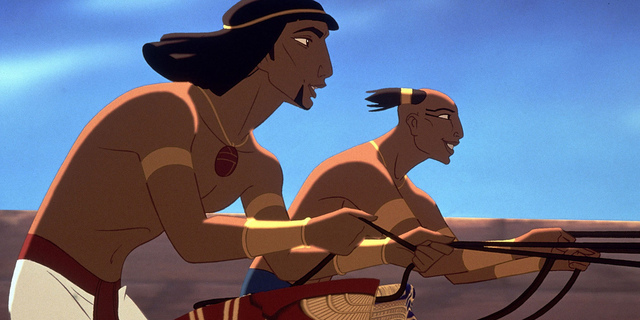 The Prince of Egypt is an adaption of the Book of Exodus and DreamWorks first traditionally animated movie. The film is a biblical musical that follows the life of Moses as he guides the Hebrews from Egypt. It holds an Academy award in Best Original Song for the song “When you believe”. Tarzan is Walt Disney’s 37th animated classic film in which they used a technique called Deep Canvas allowing them to use a CGI background but still have the look of a traditional painting. Tarzan is based on a story written by Edgar Rice Burroughs titled Tarzan of the Apes, about a boy raised by gorillas in the Jungle after the death of his family. Fantasia 2000 is a 1999 traditionally animated film produced by Walt Disney Feature Animation. 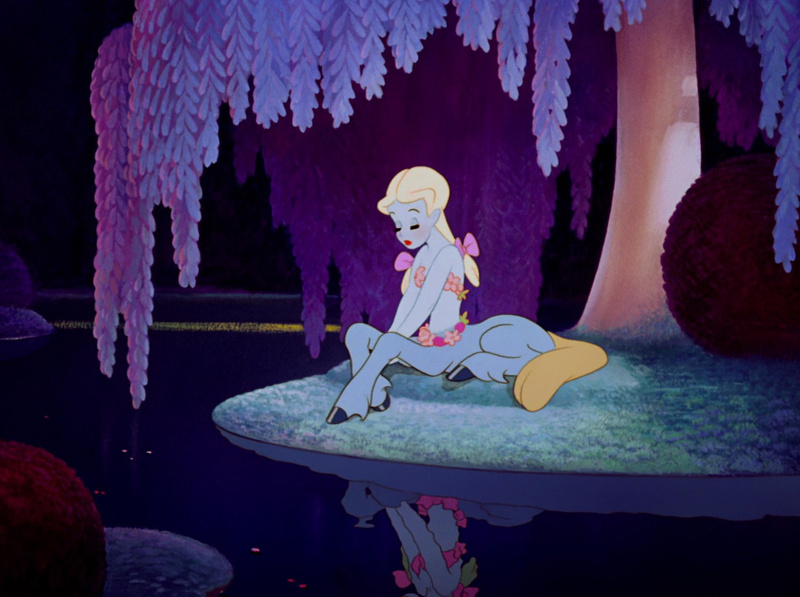 It is the 38th film in the Walt Disney Animated Classics series and the sequel to Walt Disney's 1940 film Fantasia. Fantasia 2000 was the first animated film to be released in IMAX theaters. 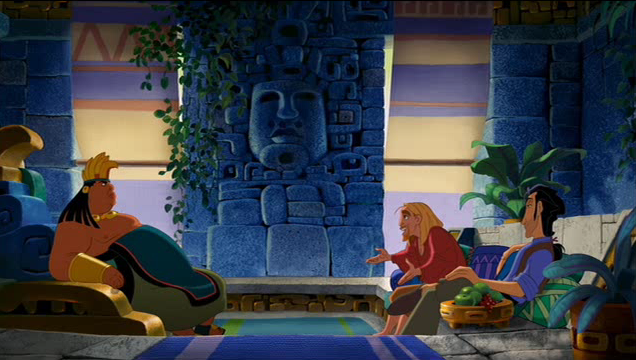 The Road to El Dorado is a 2000 traditionally animated film by Dreamworks. The soundtrack features songs by Elton John, Tim Rice and composer Hans Zimmer. The Road to El Dorado takes place in the 16th-century Seville, Spain and tells the story of two men named Tulio and Miguel and their quest to El Dorado. A Fox Animation Studios science fiction animated film, Titan A.E. Combines both traditional hand-drawn animation and complex computer generated images. The story involves a space craft with A. E. meaning after earth. This film was the first motion picture to take part in end to end digital cinema. This was the final film produced by Don Bluth and Fox Animation Studios. 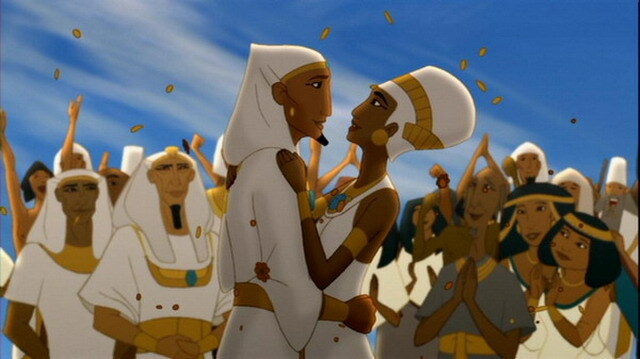 Joseph: King of Dreams is a direct-to-video biblical musical by DreamWorks and acts as a prequel to The Prince of Egypt. This has been DreamWorks only direct-to-video release. The film tells the story of Joseph’s ability to interpret dreams and is an adaption of Joseph’s story from The Book of Genesis. 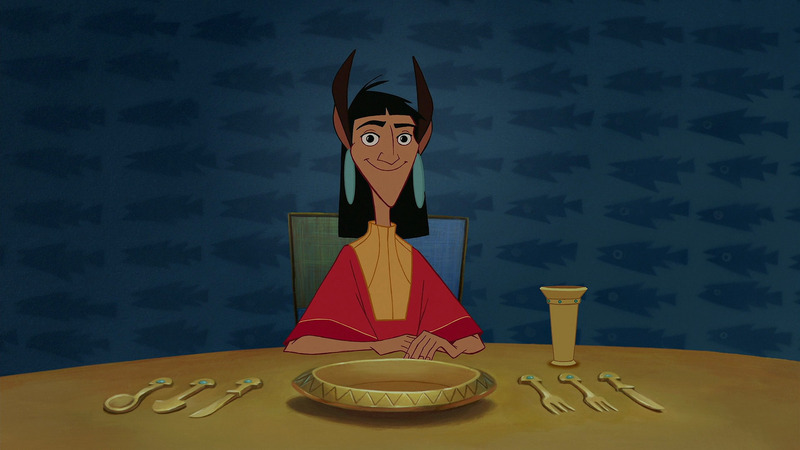 The Emperor’s New Groove is Walt Disney’s 40th animated film. The Emperor character was inspired by the tale, The Emperor’s New Clothes, by Hans Christian Anderson but the rest of the story differs as it tells the story of an Incan Emperor who gets turned into a llama and learns to see things through the eyes of his people. This film led the studio into a direction away from the musicals they had been producing. Atlantis: The Lost Empire is Walt Disney's 41st animated film but their first in the genre of science fiction. The film tells the tale of a journey in search of Atlantis when the character Milo gets a sacred book that he believes will guide them and is inspired by the writings of Jules Verne, A Journey to the Center of the Earth. Jim Varney, the voice of Jebidiah died before production ended; the film was dedicated to him. Lilo & Stitch is the 42nd animated feature in the Walt Disney Animated Classic series, written and directed by Chris Sanders and Dean DeBlois. Chris Sanders is also the voice of Stitch. 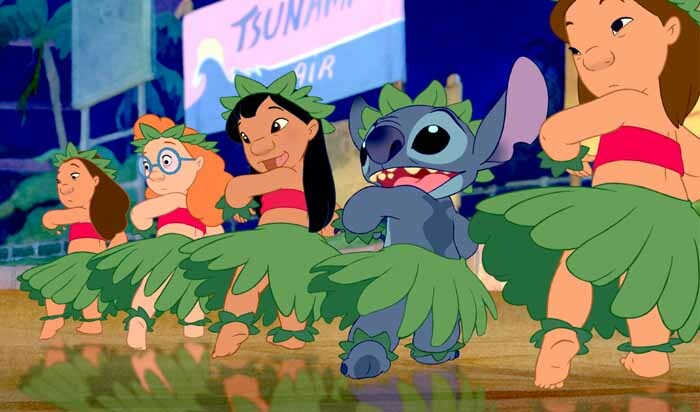 Lilo and Stitch was nominated for the 2002 Academy Award for Best Animated Feature. Walt Disney's 43rd animation is an adaption of Robert Louis Stevenson's Treasure Island. The story is a Sci-Fi adaption telling the tale of a teen's adventure through the galaxy after a map was given to him. Treasure planet was the first Disney film to be released in regular and IMAX theaters. Animators created virtual sets for the film by taking the Deep Canvas technique and creating a 360 degree set so they could use the camera like they would in a live action film. 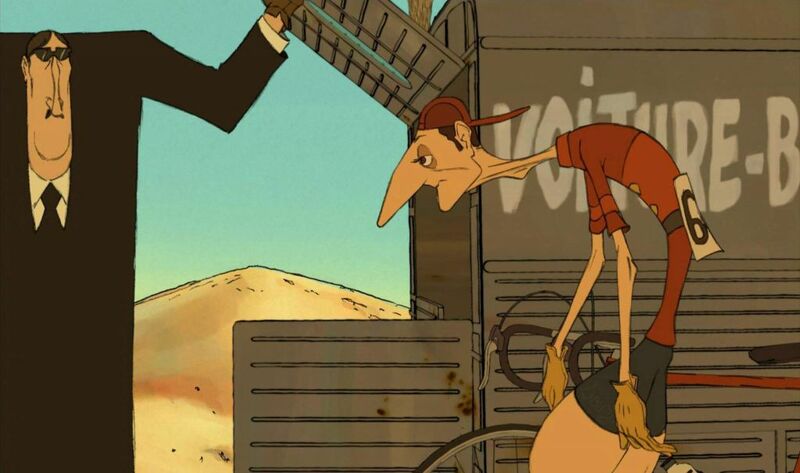 The Triplets of Bellville, Sylvain Chomet's first feature film, is a PG-13 animated film. It has few dialogue and instead contains mostly music and pantomime. The film was co-produced in Canada, Belgium France, and the United Kingdom, and tells the tale of a woman's attempt to save her grandson as she is joined by triplet music hall singers. Brother Bear, the last film produced at Disney- MGM studio in Orlando FL, is Walt Disney's 44th animated feature. 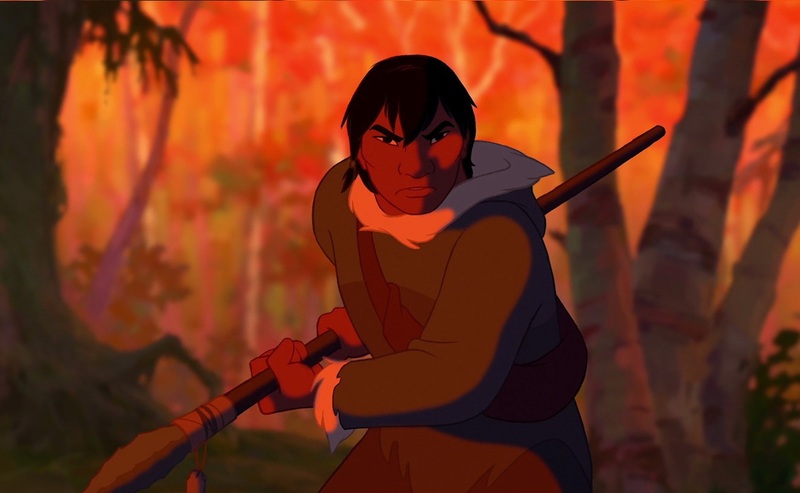 The film tells the story of a Inuit boy who is transformed into a bear after getting revenge by killing one. 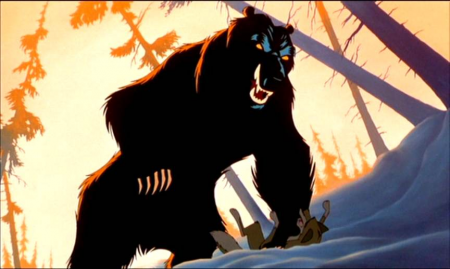 Brother Bear is the first animated film that, throughout the course of the movie, changes aspect ratio after the boy is transformed into a bear. 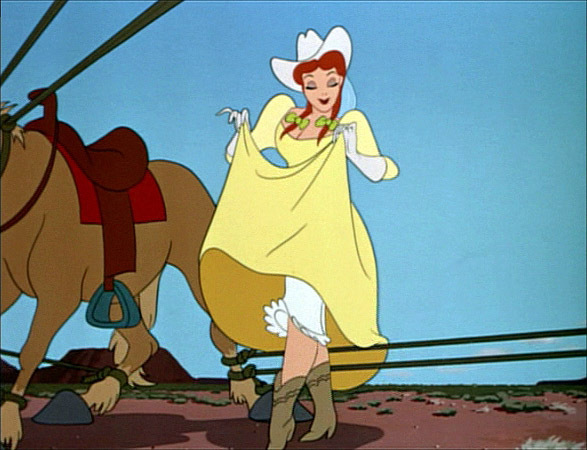 Walt Disney's 45th animated film, Home on The Range was the last film to use the Computer Animation Production System. This film was named after the popular country song of the same title and tells the story of three cows in search of a criminal outlaw to use the bounty to save their farm. 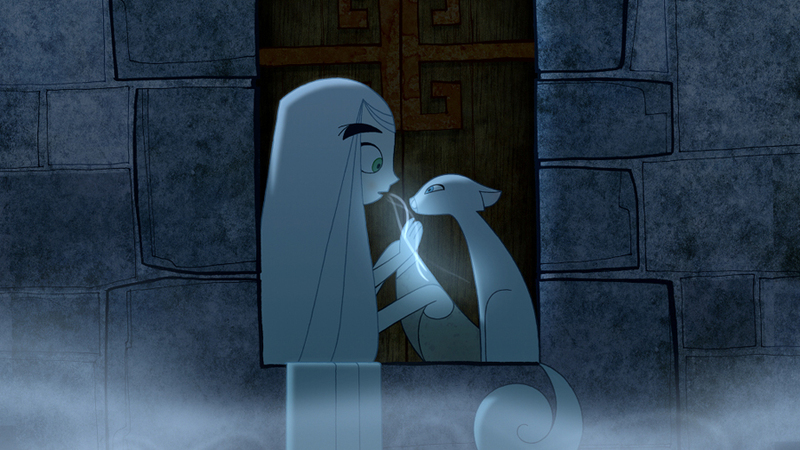 Cartoon Saloon's first animated feature film, The Secret of Kells, is an Irish-French-Belgian influenced by the Book of Kells and tells a fictional tale of its creation. The art drew Asian inspiration from Disney's Mulan and Richard William's the Princess and the Cobbler adapting the style with Irish art. This film was considered for Academy Award nomination although it had only been released one week before the end of the year. 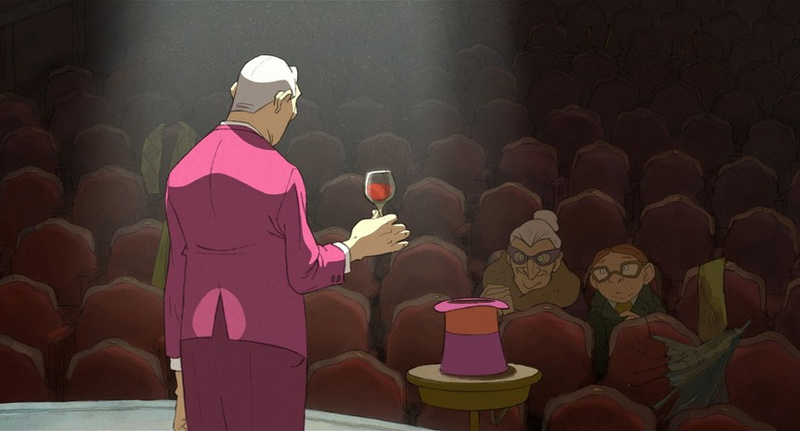 Based on an unproduced script written by Jacques Tati, The Illusionist is Sylvain Chomet's second animated feature film. It won the first César Award for Best Animated Feature and tells the story of an illusionist who relocates and finds himself in the company of a young girl who believes him for a real magician. 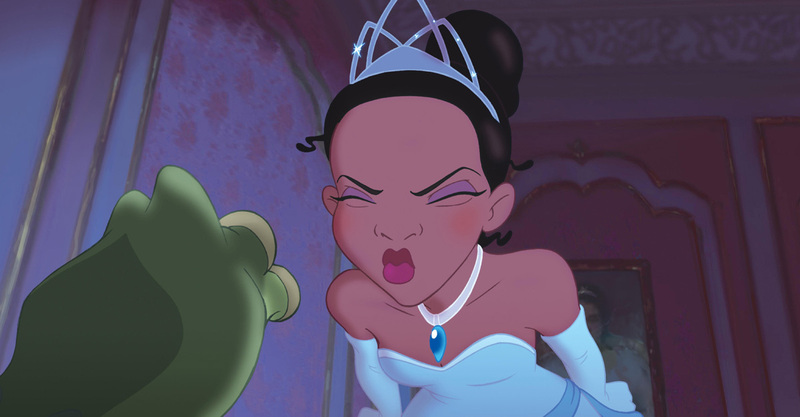 The film was originally scripted as a live-action film but was animated to avoid casting an actor to play Tati. Winnie the Pooh is the 51st animated feature in the Walt Disney Animated Classics series. 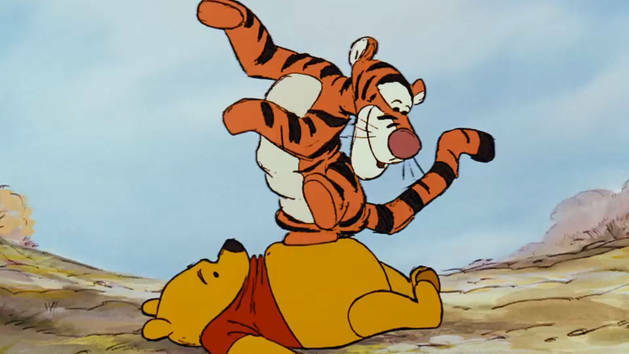 Jim Cummings reprises his voice acting roles as Winnie the Pooh and Tigger. The theme song was sung by actress and musician Zooey Deschanel. This is the last traditionally animated film by Disney.